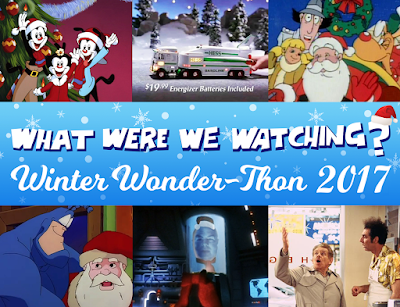 Much like a delicious holiday fruitcake, our second-annual Winter Wonder-Thon showcases a hodgepodge of festive treats that also benefit from an infusion of adult libations. This year, our selections focus on a wide range of traditions both cultural and commercial, and feature two separate attempts to besmirch the reputation of jolly old Saint Nick. Pull on your favorite sweater and pour yourself some eggnog as we come a-wassailing into your ears with a very special holiday podcast!